…To take with you into the weekend. To the people upset over the rant Cherry ripped of Thursday night — deriding retired NHL enforcers like Stu Grimson as “hypocrites” and “pukes” because they now speak out against fighting in hockey — I get it and I’m with you. The screed was as ill-informed as it was illogical, and offensive to anyone who understands “sport” and “savagery” aren’t synonyms. You can demand Cherry retract what he said, but he already said it and there are several ways to react. With outrage, which is completely fair. Turning on a reformed goon like Grimson is like trashing an ex-addict who now crusades against drug use. There’s actually something admirable with maturing and realizing the way you came up was corrupt, and counselling others not to repeat your mistakes. Most of us understand that, but most of us are not Don Cherry. You can also counter Cherry’s flawed reasoning with logic, and point out that the net number of available jobs doesn’t change. The people pushing for the eradication of fighting aren’t asking to eliminate each enforcer’s roster spot. Instead they realize what most of us do: that if you get rid of the guy getting paid to fight you can pay a different player to actually pay hockey. 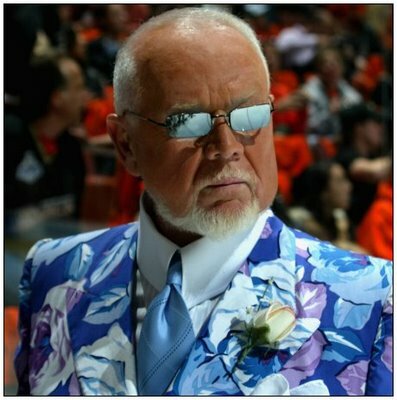 But again, most of us aren’t Don Cherry. Or you can ignore him, and understand he gets paid not for intelligent commentary but for sound bytes that trigger reactions. Those types litter the sports media landscape like potholes mark Detroit streets. In Cherry’s case he picks a target — Europeans, non-fighters, ex-fighters — and blasts away until his quotes make the paper, make the evening news or make a link-by-link journey around the internet. You can point out, correctly, that Cherry is neither a journalist nor an analyst, but you can’t deny that the formula has earned him a huge audience. And it grows every time we enable him, and we enable him by splashing him with attention every time he says something offensive. I’m not saying we should tolerate ignorance on our airwaves. I’m saying Cherry’s brand of ignorance finds airtime because his bosses know people will tune in to hear it. If enough of us tune out CBC will get the message and maybe Cherry will temper his. 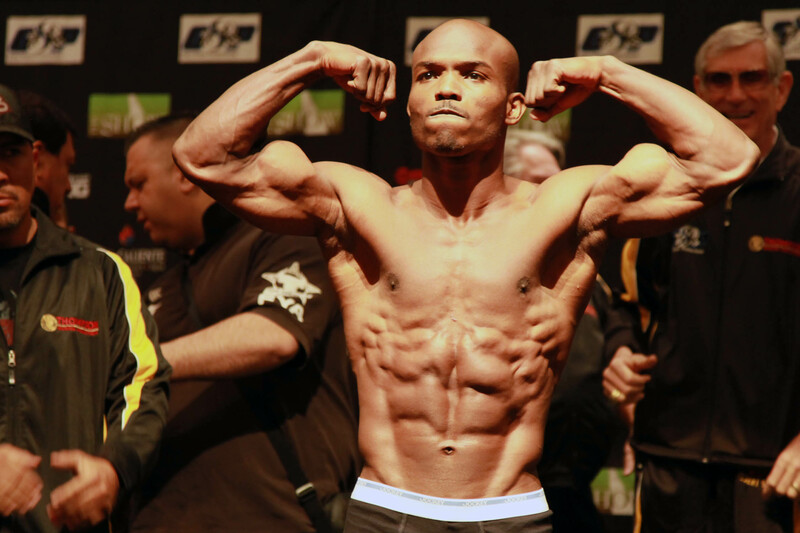 I’m excited to see Timothy “Desert Storm” Bradley hop back into the game. Follow me long enough and you’ll figure out how much I hate the idea of any fan or media member throwing the “coward” label at any prizefighter — as if any of us would risk our lives for other people’s entertainment. If somebody cuts me for six stitches I’m not finishing seven hours at the keyboard, let alone 12 rounds in the ring. I’m going to the hospital then I’m going home to rest, and so is any other Cubicle Warrior with the nerve to suggest any world-class prizefighter is afraid of a little pain. So I’m happy and relieved at this new contract, mainly because it will help squash ludicrous rumours that Bradley was ducking Amir Khan this summer when it was pretty clear refusing the fight had nothing to do with Khan. Bradley wasn’t going to fight anyone until his old contract with Gary Shaw expired. But that’s all done and Bradley is once again doing his fighting in the ring. If he handles Joel Casamayor Nov. 12 we can look forward to a fresh round of negotiations for a big-money fight with Khan. Like what if the UFC had split titles? Yes, I realize the proliferation of meaningless title belts helped confuse and alienate fans (did you guys know there’s a International Boxing Union?) and dilute the value of boxing championships. It’s been a decade since I last kept track of who held which organization’s title. Your status as an elite fighter shouldn’t depend on your willingness to pay a shady organization’s “sanctioning fee,” and my level of interest in a fight doesn’t depend on which trumped up belts are at stake (what exactly is a “super champion,” anyway?). 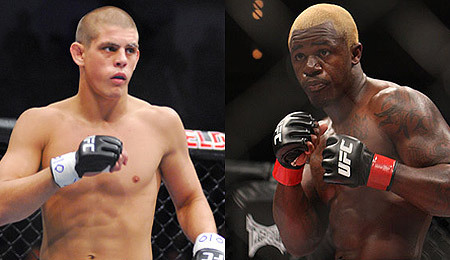 But this weekend’s 155-pound showdown between Melvin Guillard and Joe Lauzon on the UFC 136 undercard doesn’t just showcase the UFC’s deep reserve of anglo fighters with french last names. It also reminds us that the list of deserving contenders in the weight class is much longer than any champion can accomodate by fighting twice a year. Mixed martial arts is a brutal, fast evolving sport. Opportunities for meaningful fights are few, careers are short and a fighter’s time at the top of his game is often shorter. So maybe boxing-style alphabet-soup titles aren’t the answer, but it would be nice to see deserving fighters like Guillard and Lauzon land more often in fights that matter.